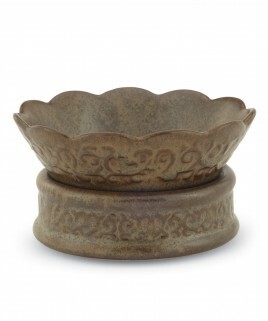 The Ceramic Candle Warmer Lantern has a soft halogen light, which warms the top of the candle, releasing a great aroma within minutes. 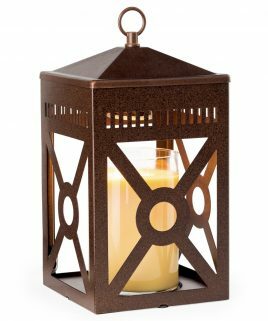 This Warmer Lantern creates the ambiance of a burning candle. Most 12-22 oz. candles will work with this lantern.